Transform your yard into an extension of your living space that is both functional and beautiful. Our team of experts can handle any aspect of your landscaping project, from design to installation. We specialize in premium quality turf and installation. Outdoor kitchens, decks, and fencing that is built to last. Pavers, gravel, and concrete to create a finished look. From drought tolerant planting to drip irrigation. Beautiful, efficient outdoor lighting for round-the-clock enjoyment. ...We hesitated over synthetic lawn to replace our dead, gopher infested, dirt filled patch of real lawn, but we are now thrilled to have made the switch. It was done on time, when they said it would be, it looks great, and they followed up with the City for our rebate. EcoLawn is committed to the preservation and restoration of the natural environment. 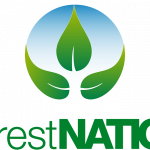 In partnership with ForestNation, we are planting trees in developing countries that need reforestation the most. For every 10 square feet of turf we install, one tree will be planted, supporting farmers and communities as well as the environment.